Good Morning! I hope to get out running again sometime soon, but my lungs will need some healing. I've had to alter my training schedule and even my spring races because I just don't think I can do them all, which is fine. Sometimes, you just adjust the plans and move forward. 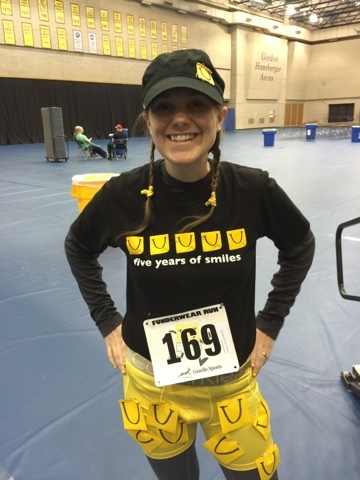 I wanted to re-cap a fun race that my husband and I did over a week ago for an organization through Gilda's Club for Laughfest. It was their 3rd annual Funderwear 5k Run. 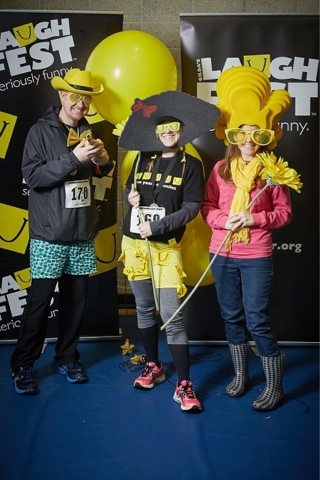 Participants were encouraged to wear their finest and funniest underwear over their running clothes in support of Gilda's Club Grand Rapids. Of course, it brings laughter, smiles, and emotional health all around. All proceeds from this event benefit free cancer, grief and emotional health support programs offered through Gilda's Club Grand Rapids. 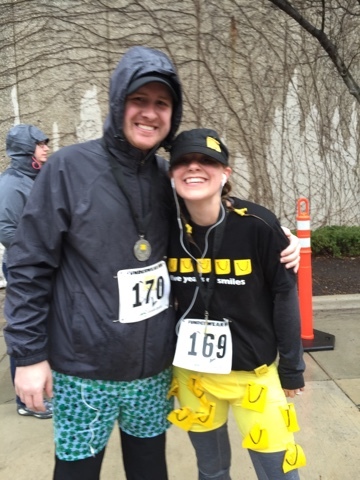 We had a complete blast running this race despite the cold rainy weather. As I always say, you can't run a race in Grand Rapids, unless it's raining. I only know how to run races in Grand Rapids with rain because it's part of my #Grandrapidstradition. The finest and funniest underwear were hilarious. Some of the attire were just downright cheesy while others were unusual. The race was a blast. It was incredible to see people of all ages, families and physical abilities participating including a lung cancer survivor. There is no excuse not to be able to get out and run or walk a 5k when a lung cancer survivor is running. It was just fun to see a community of people coming together to support a great event and a community agency that gives back. We had a blast and hope to run it again in the future. 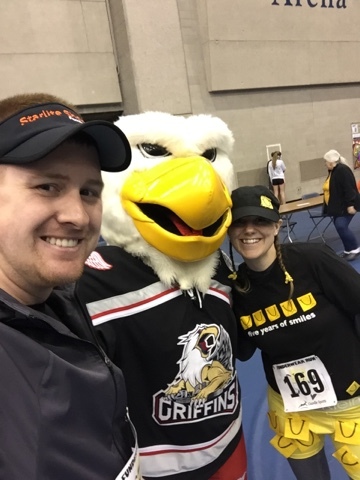 What has been your favorite 5k race? If you're not a runner, what have I been missing out on?